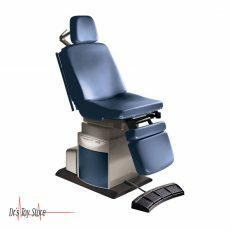 The Midmark 75 Evolution Power Chair is a power procedure chair / table. It features adjustable positioning for: OB/GYN, colposcopy, general procedures, ENT, proctology, urology, laser surgery, etc. 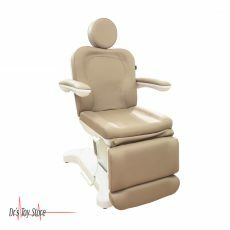 It features controls which automatically and separately adjust and position the height, tilt, back section, and leg section. 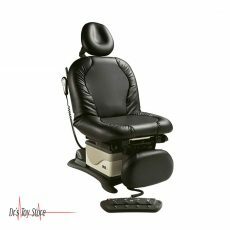 There are easy manual adjustments for head rest and proctological positioning. Importantly, there is an automatic return positioning button. 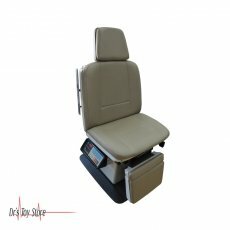 The headrest can be locked and articulates in an infinite number of positions to accommodate tall patients. The height of the table can be adjusted from 26 – 42″. 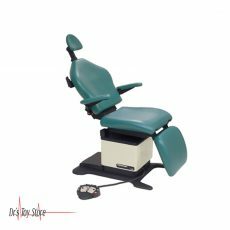 The Midmark 75 Evolution Power Chair is the proven, classic value and is better known as the “workhorse” of examination chairs due to its power, solid structure, and longevity. 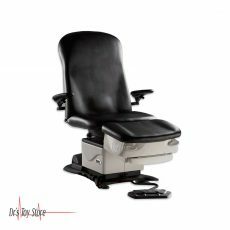 This universal chair features eight-way power for effortless patient positioning. Power up, tilt, back, and foot do the lifting for you, which means no more bending or back stress. Something you and your staff will appreciate at the end of the day. The 75 Evolution features both style and comfort. 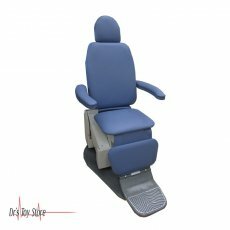 A sculptured, form-fitting cushion and articulating headrest surround your patient with secure comfort. 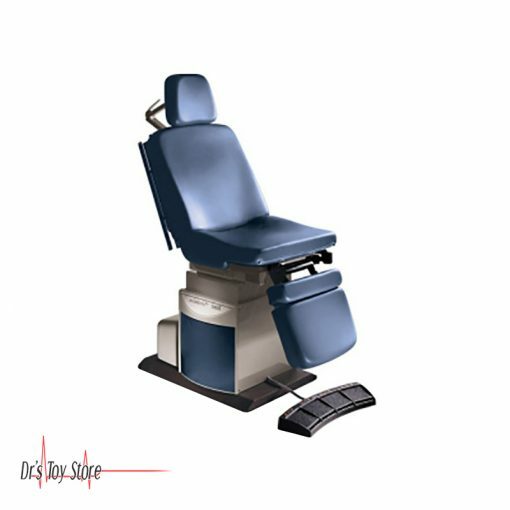 The included, convenient power foot control leaves your hands free to help maintain the sterile field. 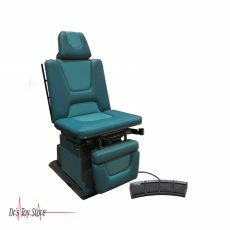 Standard – Power adjustment, drain pan, articulating headrest, adjustable stirrups, accessory rails, foot section lockable in four proctology positions, paper roll holder, paper straps, quick release upholstery tops.